Young Marjorie Clune's best asset is her greatest misfortune: a pair of exquisite legs. They attract the perfect heel, a self-professed movie promoter named Frank Patton, whose scam seems even more flawless than Marjorie's lissome limbs. 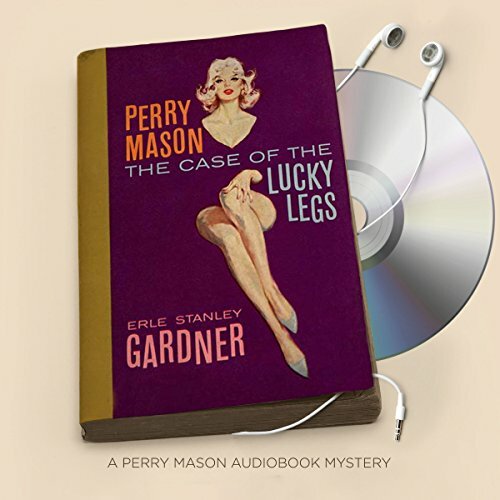 When the hype clears, the local chamber of commerce is many dollars poorer, Marjorie's been hung out to dry - and Patton's been found with the knife of Marjorie's lover implanted in his chest....But will a single cunning lie her lawyer, Perry Mason, tells catch a killer and free her from a nightmare of accusation? different in the way this was solved. it wasn't in the typical court room with the typical process ongoing. Love it well done like listening to an old radio show. I truly enjoyed it.